I was able to grant a few wishes too! I made needle minders (magnetic buttons to hold your needle while hand sewing or doing cross stitch) and sent leftover I Spy charms and empty thread spools too. One final wish that I wanted to grant was for Reba. 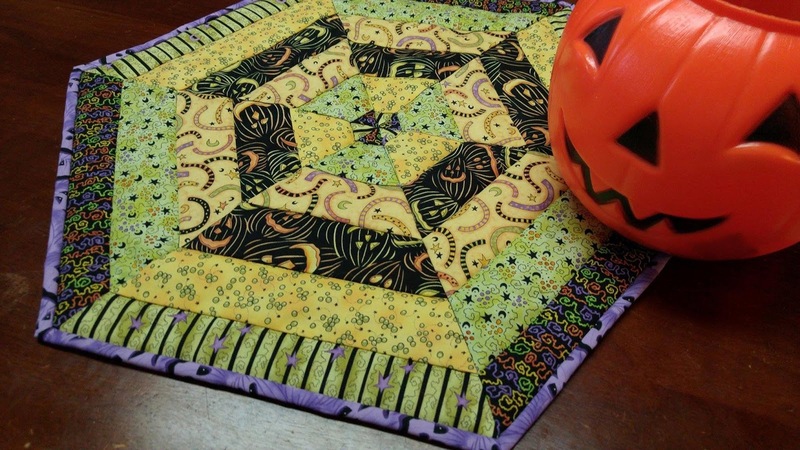 She wished that she could get a table topper/mini quilt for each month of the year. I volunteered to make her one for October. 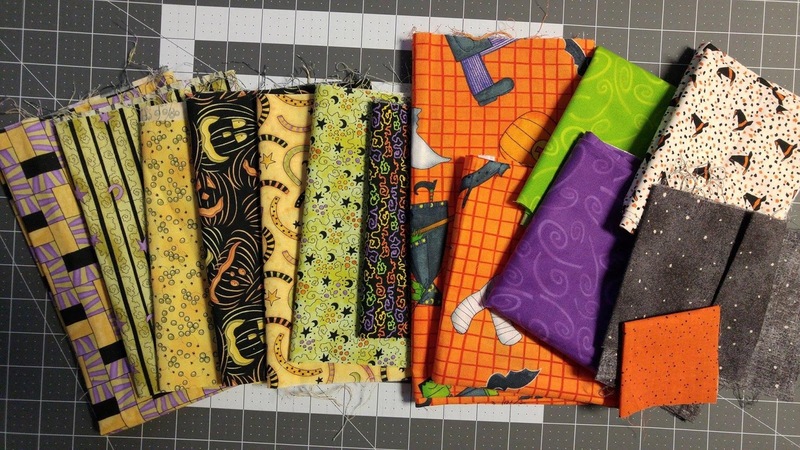 Because of the same hashtag, another woman, Tanya, sent me a very generous amount of Halloween fabric to use to make the mini quilt! 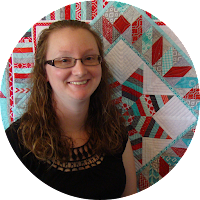 I love making quilts for others, especially mini quilts, as it gives me an opportunity to try new things. 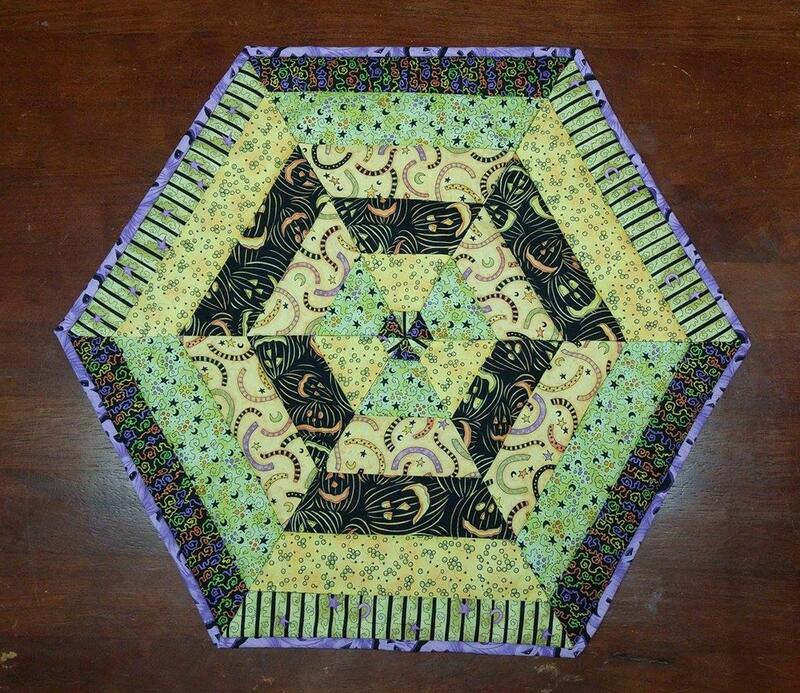 I decided I would try my hand at making a quilt that was not rectangular or square, but a hexagon. 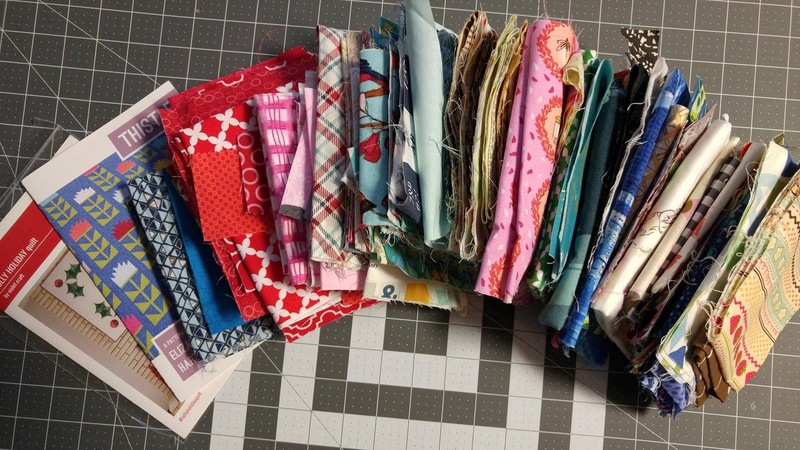 Several of the pieces Tanya sent me were fat quarters. 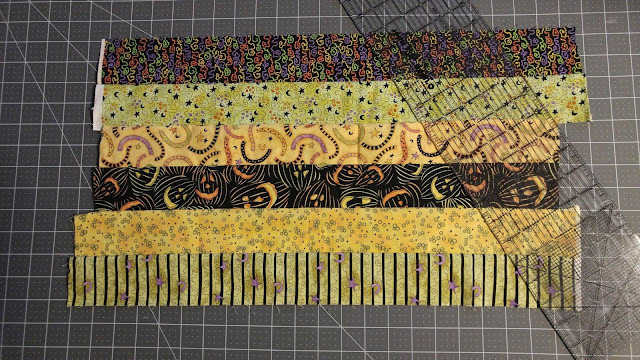 I cut strips from the longest sides and sewed them together to create strip sets. I then sub-cut these into equilateral triangles using the 60° line on my acrylic ruler. I was able to get two triangles from each strip set - one right side up and one upside down. I used three strip sets to make six triangles. I sewed the triangles together to create a hexagon and quilted it on my Bernina Record 930 by stitching in the ditch along each seam line. 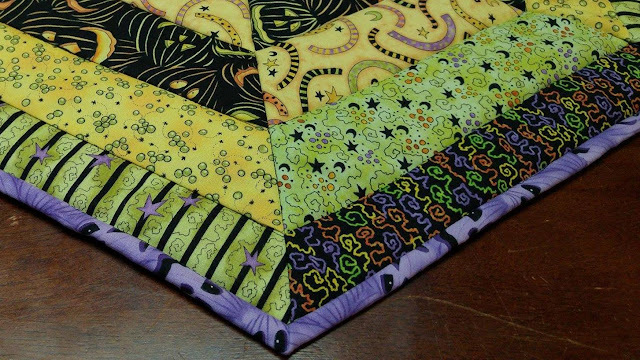 Both the backing and binding fabrics were also from Tanya. 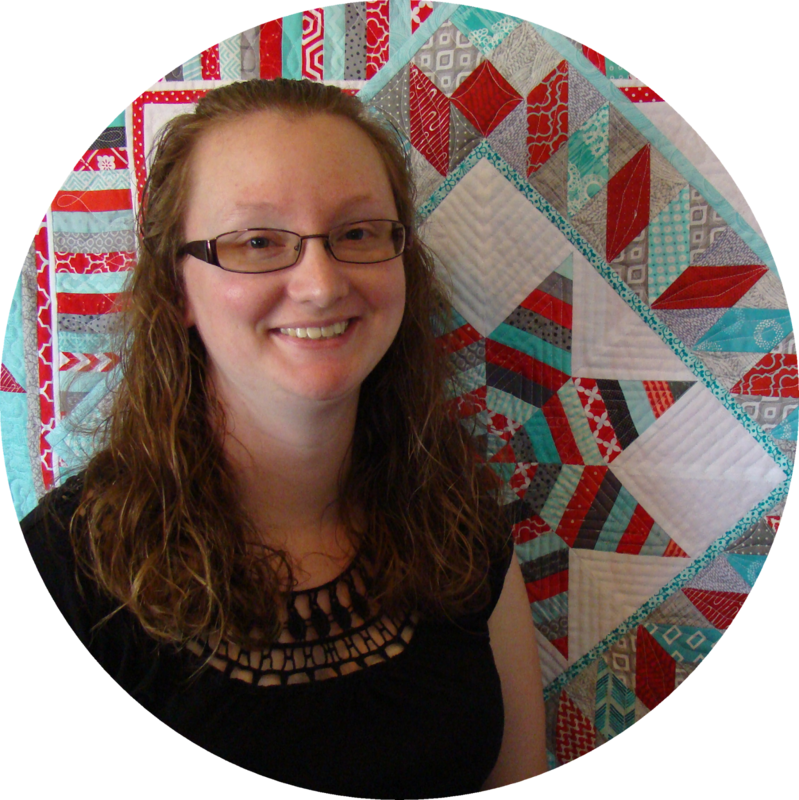 As with any new endeavor, I learned several things. 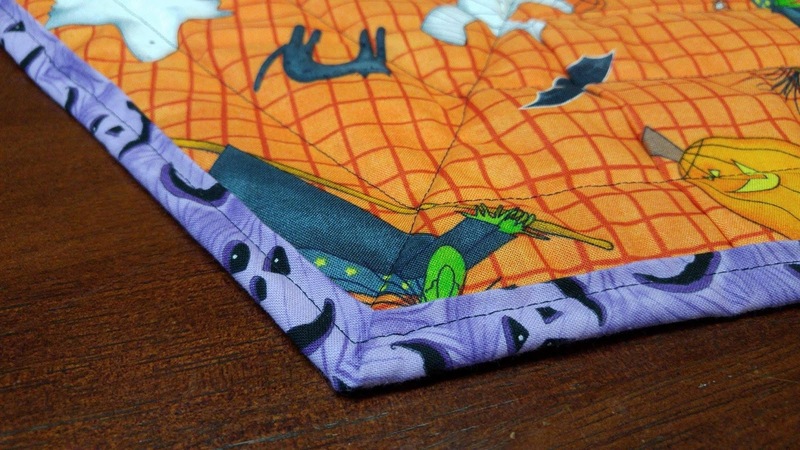 First, I would have sewn the strips together so the ends were not lined up vertically, but rather following a 60° angle. This may have allowed me to get an additional triangle from each strip set. Second, the backing fabric puckered in a couple places when quilting. 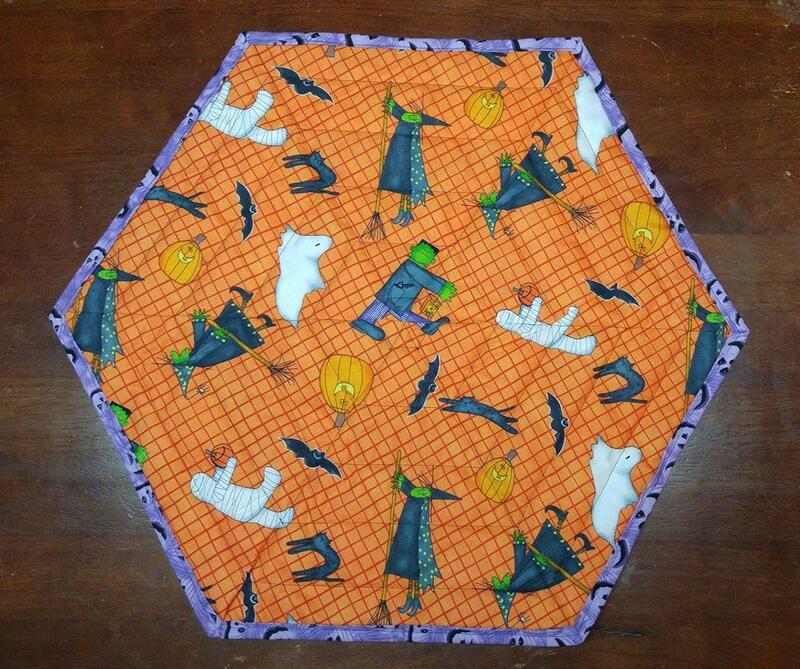 Using my walking foot when quilting would have probably prevented them. And third, using fabric strips longer than 20" would also help to get more triangles from each strip set. If I make this pattern again, I would use width of fabric strips. 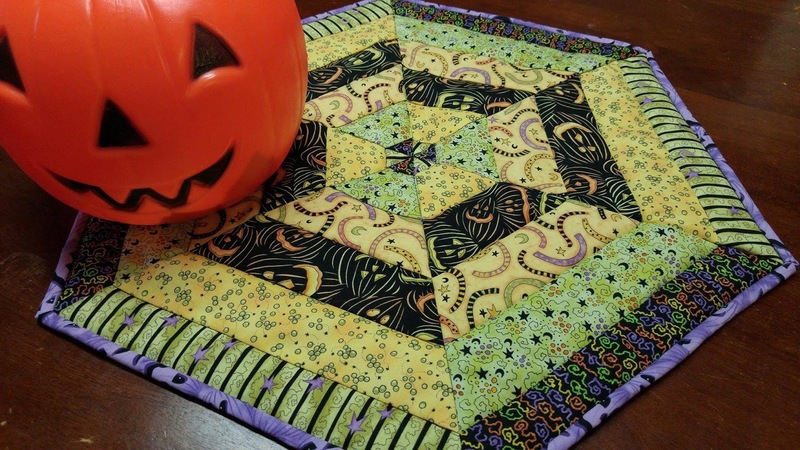 Overall, I like the final result, and it is the perfect size for a table centerpiece. I packaged the mini quilt up today to be mailed to Reba. If the boys' napping schedule allows, we will head to the post office this afternoon. 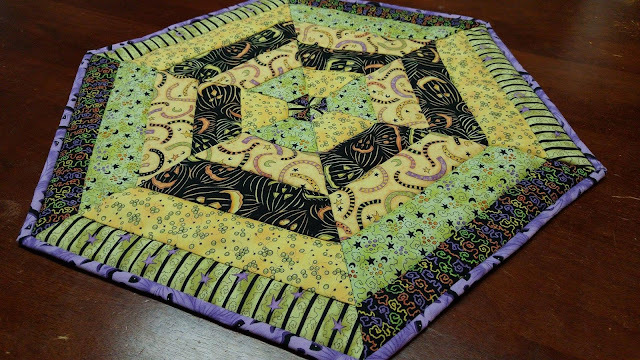 This is my second quilt finish this year!